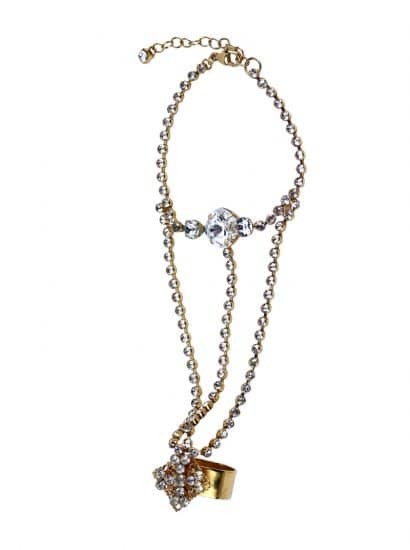 Rushing from your 5pm meeting to a 7pm dinner date? 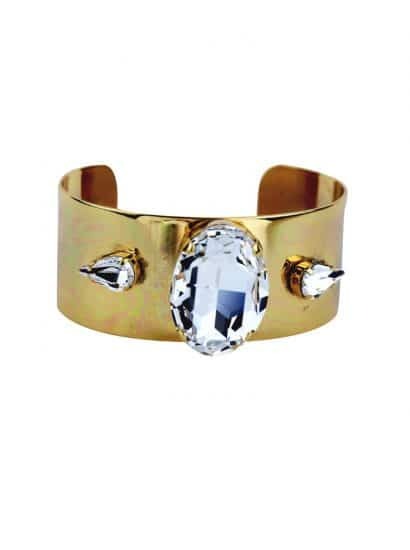 Reach for this stunning statement cuff bracelet featuring a 3cm oval Swarovski crystal in Clear crystal, encased in gold metal. 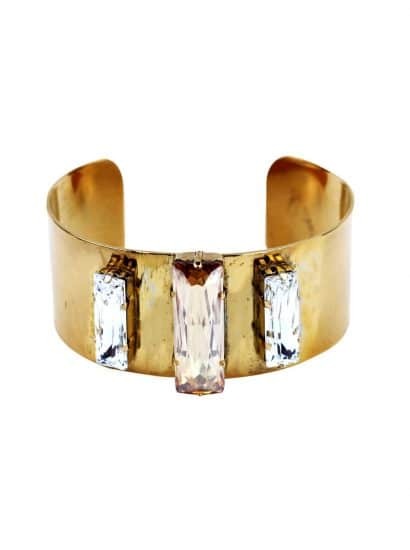 This cuff bracelet will elevate any outfit. 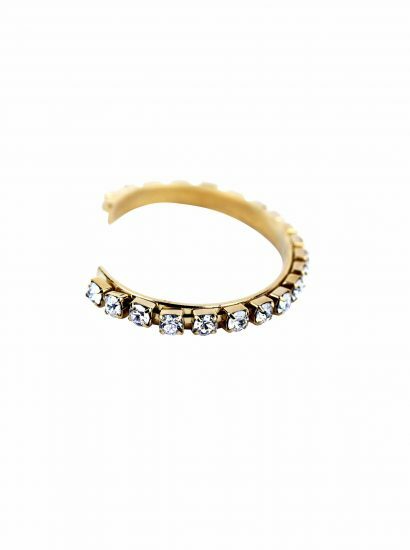 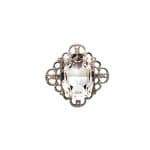 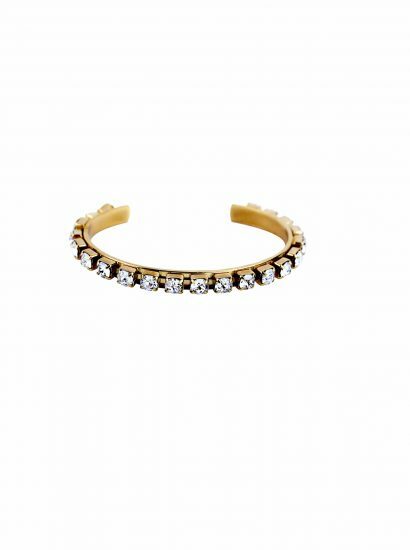 Match this with the oval crystal earrings for seamless elegance. 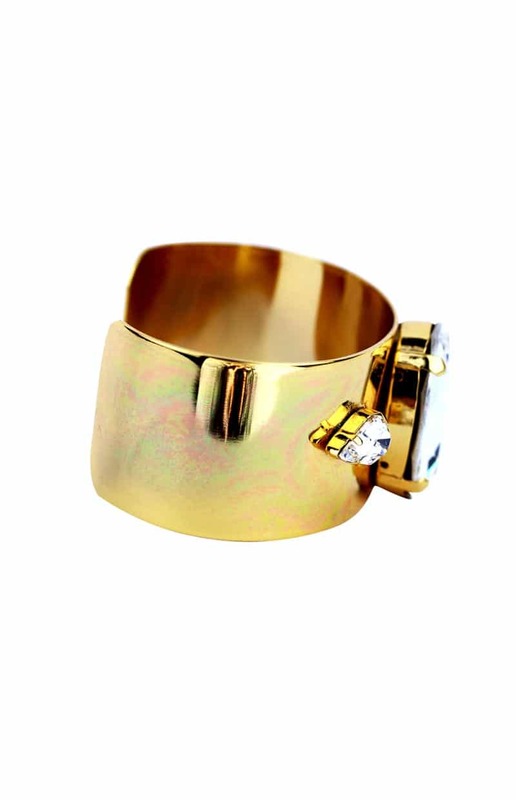 Dancing in the Dark Cuff Bracelet. 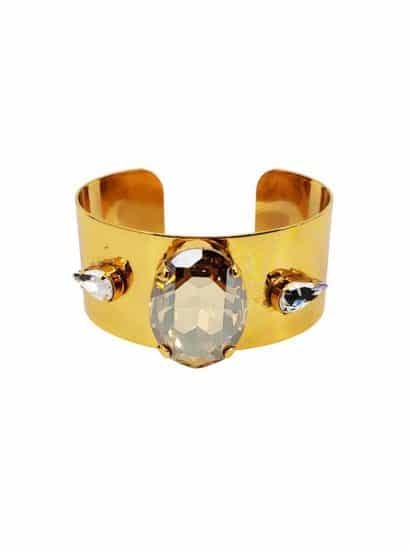 Stunning statement cuff bracelet, featuring an Oval Clear Swarovski crystal encased in gold metal, cuff bracelet 3cm wide bracelet. 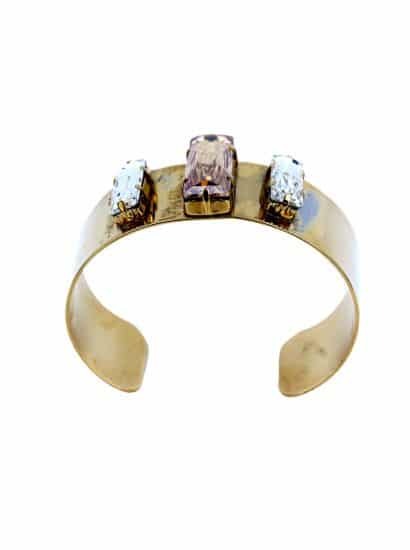 Handcrafted in Australia. 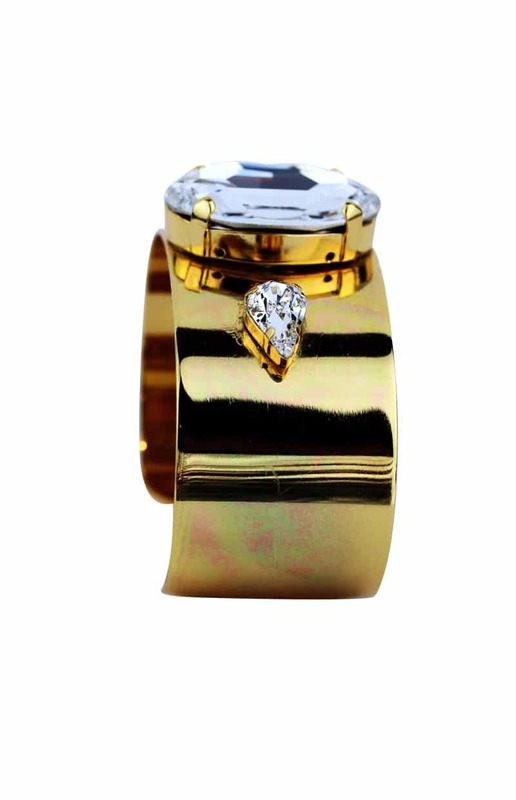 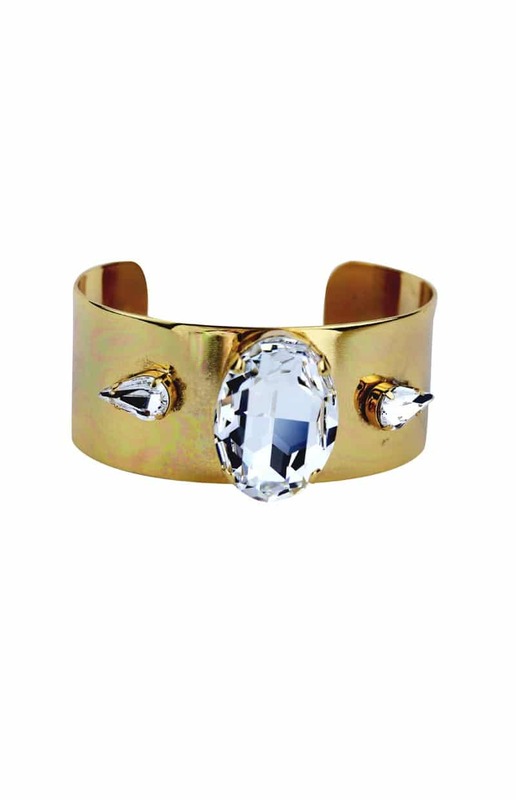 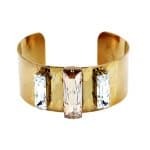 Striking cuff bracelet in clear Swarovski Crystal finished in 22ct hard gold plated metal.